When it comes to deciding a mode of training, organizations often find it confusing to choose between self-paced learning and classroom/virtual training. There are various myths around the effectiveness of self-paced learning. However, in reality, self-paced learning can significantly enhance the learning experience. Let’s look at some of the advantages of self-paced learning. When it comes to corporate eLearning, learners, be it employees or customers, always find it hard to strike a balance between work and training. Sometimes, they find it difficult to attend scheduled training programs due to overlapping work priorities. However, with self-paced learning people can learn anytime and from anywhere, whether they are travelling or at home. The convenience offered by self-paced learning enables more people to attend training programs, and reduces the drop out ratio. Virtual or classroom training involves different costs such as fees for instructors, costs related to venues in the case of classroom training or technology costs in the case of virtual training. On the contrary, self-paced learning does not involve any of these costs and thus it is highly cost effective. Different people have different learning styles. Some people prefer to go through the same learning content multiple times, and thus require more time for completing a course. Whereas some people get done with a course very fast. Likewise, the learning and comprehension capacity of every individual is different. Self-paced learning is suited for all types of learners. Learners who want to finish a course fast don’t have to wait for others; whereas learners who need more time to grasp the content can do it at their own pace. Scheduling is one of the major challenges for any learning program, especially courses that involve a large number of people. Self-paced learning takes scheduling related issues, such as rescheduling and cancellations, out of the equation. Learning managers have to simply launch a program and set a deadline for course completion. Similar to virtual and classroom learning, self-paced learning has assessments and quizzes at the end of each module. Through these assessments, learners can evaluate their understanding of the concepts. If any knowledge gaps exist, learners can review the content again till they have a solid understanding of the content. This kind of flexibility is not available in virtual/classroom learning. Also, in a classroom environment, sometimes students, especially introverts, hesitate to raise their doubts in front of others. However, in self-paced learning, learners can freely ask questions through mediums such as online chat or online messaging. By its inherent nature, self-paced learning puts the onus of learning on the learners. This way there is greater ownership on learners, which forces them to have more internal motivation as well as better organize their own time. In a classroom environment, there are chances of students getting distracted. In real classrooms, these distractions could be caused by peers and in virtual classrooms these distractions could be due to family members/friends. However, with self-paced learning students generally learn only at a time where there are no distractions, which leads to effective learning. All organizations have some training content that’s permanent and that needs to be distributed to a lot of people. Common examples include company policies or standard training manuals. 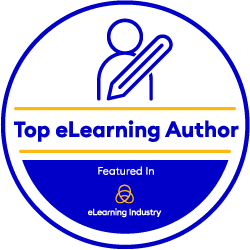 Self-paced learning is good for permanent content, because it eliminates the need of live facilitators and scheduling-related coordination. In the case of customers and channel partners, self-paced learning ensures faster adoption of new products. As opposed to traditional learning, where you need to schedule a sizeable batch of customers or channel partners to demonstrate new products, self-paced learning helps them get started instantly. In the case of new products, these time savings are immensely valuable because you can get feedback faster and thus make improvements, if any, more quickly. Concluding, self-paced learning offers numerous advantages to organizations, whether they are providing training to their employees, their customers or their channel partners. Contact us to know more about self-paced learning. Why Articulate Storyline is the preferred tool to convert legacy courses into HTML5?